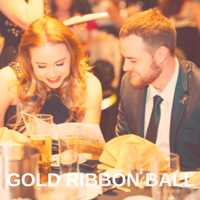 Our annual Gold Ribbon Ball is a time to celebrate; when guests join us for a fantastic evening of delicious food, entertainment, dancing, fundraising auctions, games and tombola’s! 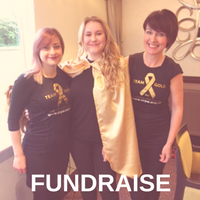 When your business takes up a Gold Ribbon Ball sponsorship package we can offer you a unique opportunity to connect with individuals and other businesses as well as supporting families affected by childhood and adolescent cancer. 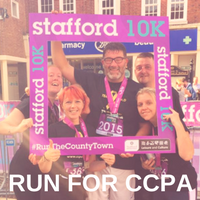 Sponsor a course, the programme, a table or the entire Gold Ribbon Ball and benefits could include: your business logo, an advert in the event programme, as well as sponsored social media posts across the CCPA platforms. You could write a guest blog on the CCPA website and, with two free tickets included in several of the sponsorship packages, you could definitely be partying with us and our supporters at the Ball! The 2017 Gold Ribbon Ball on Friday 1 December welcomed 200 guests at the Staffordshire County Showground. Greeted by The British Town Crier and the Supreme Showgirls on arrival guests had plenty to do and see before their 3 course meal! The Silent Auction, Raffle and new Mystery Bag game started off the evening’s fundraising. However, the Grand Auction was an exciting spectacle as auctioneer and all round action man, Al, whipped up guests to eventually raise £1480. Lots included a signed Manchester United shirt, Family Fun package and a gallon of whiskey! After making themselves into works of art with Lisa Fairy’s Face/body painting, and visiting Stephen Sutton for a perfect Christmas photo, guests then danced the night away to local band, The Rock Dogs. We wish to thank the very many volunteers, individuals & businesses for their help and support in making the Ball such a success. 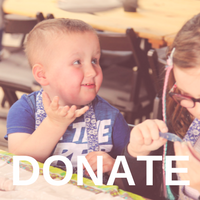 CCPA are deeply indebted to each and every one of you for your generosity.